In their simplest form, nachos are just tortilla chips covered in nacho cheese or shredded cheese and salsa. At Old El Paso however, we think that no Mexican feast is complete without a bowl full of crunchy mouth-watering nachos with all the trimmings. And nothing can beat our Old El Paso original Mexican nachos. 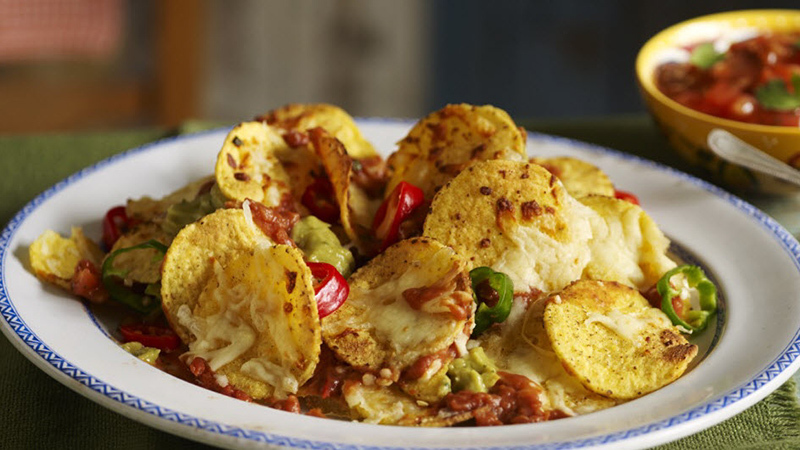 Topped with our tomato and bean Nachos, these ‘too good to resist’ nachos are extra crunchy with a chilli zing, oozing with warm melted cheese and a dollop of cool sour cream and guacamole. Heat the oven to 180°C (160°C for fan assisted ovens), gas mark 4. Spread half the crunchy Nachips onto a baking dish. 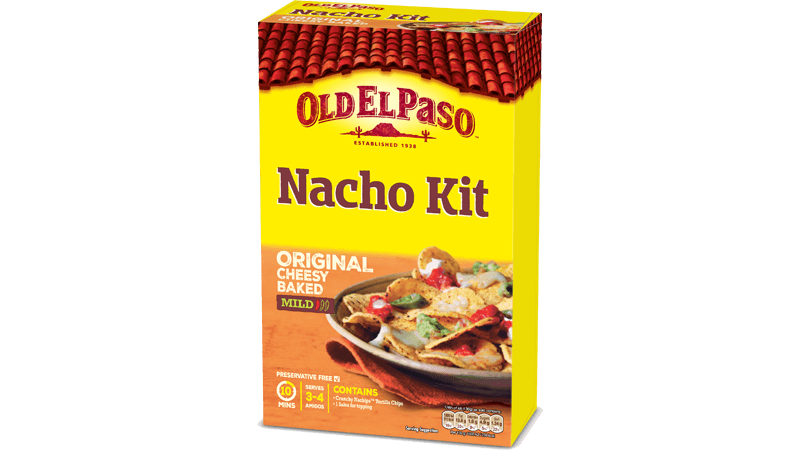 Cover with one sachet of Nachos Topping and sprinkle on half of the finely grated cheese. Bake in the oven for 10 minutes until the cheese is bubbling, or microwave for about two minutes. Load them with fiery jalapeño peppers, cooling sour cream or chunky guacamole. Then grab a handful of napkins and let everyone get stuck in.